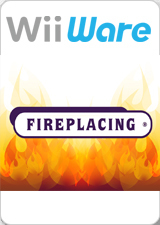 Fireplacing, known in Europe as My Fireplace, is a "fire simulator" made by Korner Entertainment for WiiWare. Gameplay is very similar to an interactive screensaver. It features classic, romantic, and Christmas settings, each with automatic and manual fire setting modes. The graph below charts the compatibility with Fireplacing since Dolphin's 2.0 release, listing revisions only where a compatibility change occurred. 3.0-735 Windows XP AMD Athlon II x2 215 @ 3.5GHz NVIDIA GeForce GT 440 Working at 100% of speed. †.fl.l). This page was last edited on 10 January 2018, at 18:11.